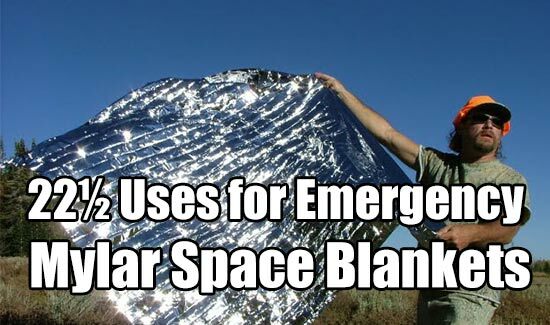 Aside from obvious uses, we have found several different uses for emergency Mylar blankets. For starters, these blankets are highly mildew resistance and simply don’t crack and wear overtime. The full potential of Mylar blankets will never be utilized unless one knows their survival uses. Below are 11 handy Mylar blanket uses. Because Mylar blankets are waterproof, they can easily be used as a sleeping mat. This is especially useful for keeping one separated from wet and cold grounds. Their insulation properties help matters even more. Also, this improvised floor mat will help retain body heat until early morning hours. 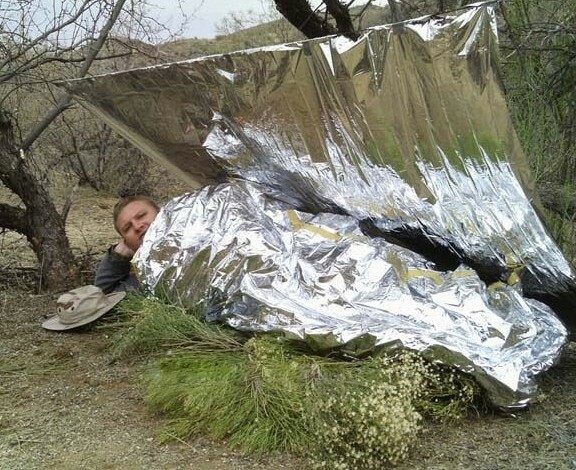 Not only can Mylar blankets reflect visible light, but they can reflect infrared light as well, making them the ideal item to redirect heat from a campfire. Simply place the blanket on the opposite side of the fire. Also, one will not have to worry about melting the Mylar blanket because of its ability to handle temperatures up to 489 degrees. 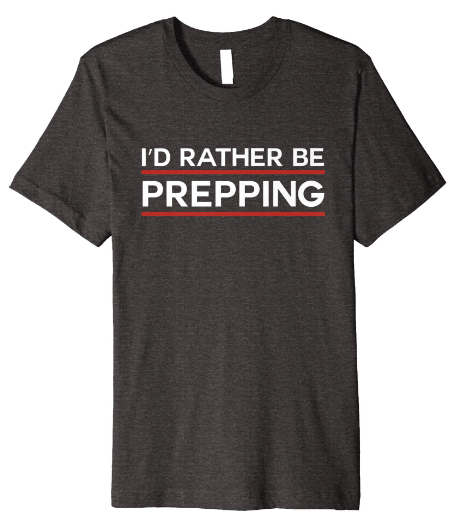 As long as one doesn’t place the sheet directly on or very near the fire, it should be fine. If one angles the blanket just right, they may be able to generate enough heat to create a fire. Plus, the blanket will act as a wind break while creating the fire. 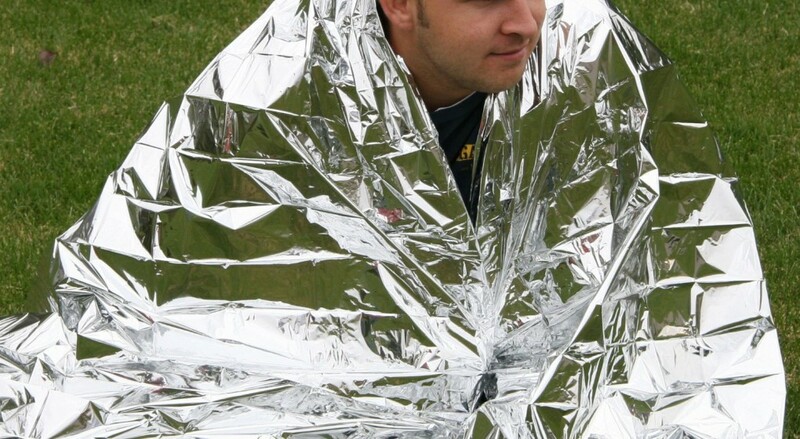 Due to its light reflective properties, a Mylar blanket can be used as an oven for cooking. All that one has to do is gather some rocks and place them over the blanket so it doesn’t blow away. In order for it to work, it’ll need to be directly facing the sun. Food is simply thrown over to cook. The light reflecting off of a Mylar blanket can be easily seen many miles away, even in broad daylight. Therefore, it makes the ultimate SOS signaler. Have the blanket face the sun by holding it up with some sticks around the forest. However, it’s vital that the blanket is angled in the right direction. One can literally makes hundreds of effective fishing lures with a single Mylar blanket. What makes this technique so effective is that the material reflects light, something that fish cannot resist. A small piece about a centimeter squared should be sufficient. Keep in mind that this method needs plenty of sunlight to work, so any amount of shade or water depth will hinder its effectiveness. Mylar blankets can be braided into ropes or cord, which can be used for holding fish or pulling a heavy object. However, do not rely on this material for dangerous tasks such as rock climbing. Another idea is to use it as makeshift fishing line. When out in the middle of nowhere, calling 911 really isn’t an option, especially if one doesn’t have service. However, a Mylar blanket can be cut into tiny strips to be used as a tourniquet. For such a situation, this is only a very temporary solution, so finding other help immediately is a must. Place the blanket behind candles, a heater or some other heat source to maximize heat output. This works by reflecting infrared radiation towards the person. If one angles it right, they can reflect a lot of heat into a tiny area. With some duct tape or other securing device, one can insulate their windows and doors with a Mylar blanket in cold weather. One can also insulate their sleeping bag even more by using this method. Mylar blankets make great insulators for two reasons: One, they are horrible at conducting any heat. Two, they reflect back infrared radiation. As originally intended, they can be used as blankets themselves.